In 2002, I founded Program and Expertise Center Adult ADHD at Parnassia, later PsyQ, the Hague, The Netherlands. 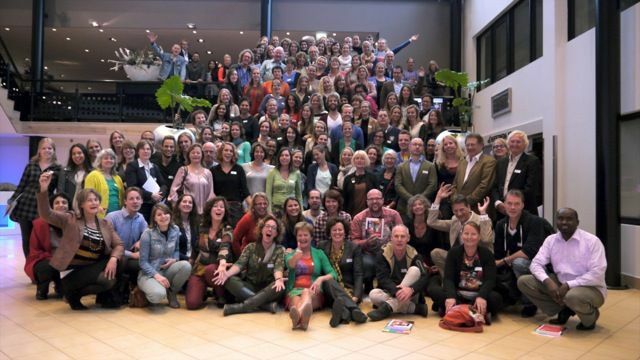 The aim was to serve patients, to teach colleagues in assessment and treatment, and to do research to increase knowledge on this highly frequent disorder in adult psychiatry (www.psyq.nl). We started with a team of 5 professionals and 100 adult patients, and we currently treat around 1000 patients annually with a team of 45 professionals. Meanwhile PsyQ, a mental health care provider that offers specialized programs for 10 disorders, expanded to 34 locations around the country, and we got the chance to educate every team about adult ADHD. In addition, every referred patient was screened for ADHD (and other disorders) before entering the system. This way, matched care was delivered, even when patients or their GPs were not aware of their condition(s). This pioneering process is described in more detail in my book Adult ADHD. Diagnostic Assessment and Treatment (2012, Springer). The team had to develop everything, from the Diagnostic Interview for ADHD in adults (DIVA 2.0), to methods for psycho-education, medication management, coaching and group CBT. Meanwhile, we had started the Adult ADHD Network for professionals, that later fused with the Child ADHD Network of pediatricians and psychiatrists. This new ‘ADHD Network‘ reflects the lifespan perspective of ADHD (www.adhdnetwerk.nl). Also the European Network Adult ADHD (ENAA) was founded in 2002, to exchange knowledge and experience, and inspire professionals in the same pioneering position around Europe. ENAA currently unites 74 professionals from 28 countries (www.eunetworkadultadhd.com). This network published its first Consensus Statement on Diagnosis and Treatment of Adult ADHD in 2010. The updated, open access version has just been submitted. The DIVA Foundation started distributing the DIVA 2.0 in Dutch for free from 2007 to lower the threshold for appropriate assessment of ADHD in adults. The interview is now available in 20 languages worldwide (www.divacenter.eu). Due to the increased license fee by the APA for use of the DSM-criteria, it may be necessary in the near future to ask payment for downloads. There is also a DIVA 2.0 app available in the App and Google stores that contains all languages. The DIVA 2.0 was validated in 2 studies and is increasingly used in research. The next edition, DIVA-5, based on the DSM-5 criteria is underway in many languages. 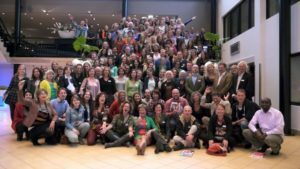 In 2008, the Program and Expertise Center was acknowledged the Top Mental Health status in the Netherlands (www.topggz.nl), for excellent patient care, innovative research and education on adult ADHD. The work of the team is re-evaluated every 3 years and has prolonged this Top Mental Health acknowledgement up to today. In 2011, we started the Lifespan ADHD clinic together with Lucertis, a child and adolescent mental health care provider. The aim was to bring parents and children together at the same location for treatment, to be able to work more closely together, to take better care of adolescents who tend to quit treatment at age 15, and to develop care for older people with ADHD. The idea was highly appreciated by patients and professionals, but proved difficult to organize due to different financial and organizational systems and different management. We are still trying to become one team with one budget to overcome these difficulties. Our research at the Expertise Center Adult ADHD in close cooperation with the Dept. 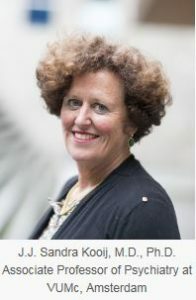 of Psychiatry at VUMc Amsterdam, is currently focused on late sleep in ADHD and the impact on health in the long term, as well as on hormonal mood changes during the lifespan in women with ADHD. Older people (> age 60) were shown in our research to still suffer from ADHD in around 3% of the Dutch population, and we are now developing a treatment protocol, and evaluating the treatment wishes of this group and their response to stimulants. The Expertise Center Adult ADHD educated mental health care professionals and GPs annually with 20 (inter)national courses and several lectures at symposia on assessment and treatment of ADHD in adults and older people, and currently with a new course on Sleep and ADHD. – the Guideline for ADHD in adults of the Dutch Organisation of Psychiatry, that was published in 2015. Next step will be to improve access to care for the unmet need of ADHD patients by Digital Medicine: the ADHD app Super Brains, that can be used by patients on their own, as well is for blended care during professional treatment. The app contains self-tests, psycho-education on ADHD and comorbidities, coaching and CBT interventions, reminders, video chats, communities with other experience experts and professionals, lifestyle habits, and gamification. The expectation is that treatment may be more intensive, more effective and of shorter duration. The idea for Super Brains comes from an ICT company owner with ADHD, Rutger den Hollander, who wanted to develop digital medicine for himself, his family, and the rest of the world. PsyQ is investing in its development, and insurance companies are adopting the concept. Super Brains will be launched in The Netherlands this year, first for adults with ADHD, then for children and their parents. Other patient groups are waiting to adjust the app to their needs. Super Brains will be made available in English too. You will be informed by a new blog at that time! ADHD Medication in the Longer Term. Positive effect of exogenous brain-derived neurotrophic factor on impaired neurite development and mitochondrial function in dopaminergic neurons derived from dental pulp stem cells from children with attention deficit hyperactivity disorder. Temperament, executive function, and attention-deficit/hyperactivity disorder (ADHD) in adolescents: The mediating role of effortful control. Diagnosis and treatment of patients with comorbid substance use disorder and adult attention-deficit and hyperactivity disorder: a review of recent publications. 24-04 ADHD Medication in the Longer Term. 24-04 Positive effect of exogenous brain-derived neurotrophic factor on impaired neurite development and mitochondrial function in dopaminergic neurons derived from dental pulp stem cells from children with attention deficit hyperactivity disorder. 23-04 Diagnosis and treatment of patients with comorbid substance use disorder and adult attention-deficit and hyperactivity disorder: a review of recent publications. 23-04 A comprehensive service delivery model for preschoolers with special educational needs: Its characteristics and effectiveness. 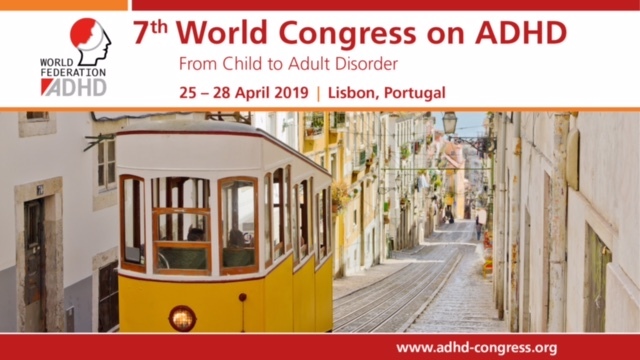 24-04 Temperament, executive function, and attention-deficit/hyperactivity disorder (ADHD) in adolescents: The mediating role of effortful control. 22-04 Overweight in family members of probands with ADHD. 20-04 Barriers to medication entitlements after diagnosis of ADHD. 20-04 Temperament correlates in adult ADHD: A systematic review★★. 20-04 Exploring the Decisional needs of Parents with Children with ADHD and Disruptive and Aggressive Behaviour. 23-04 Attention-deficit hyperactivity disorder symptomatology, binge eating disorder symptomatology, and body mass index among college students. 23-04 High-Functioning Autism, Severe Anxiety, and Bullying in a 26 Year Old.